You know when you're taking a nice summer drive and all of a sudden you come upon a bunch of cars parked by the side of the road ? You wonder ----is it an accident ? a yard sale ? is GEORGE CLOONEY in town ? ( sigh ) Nope ! 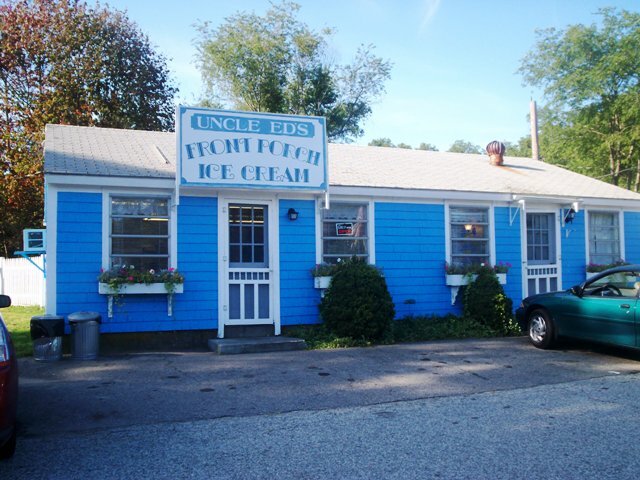 You've come upon one of many little ice cream shops that dot the New England countryside . Some are hidden away in woods and near farms . And some are not so hidden ----they're right on the side of a road . 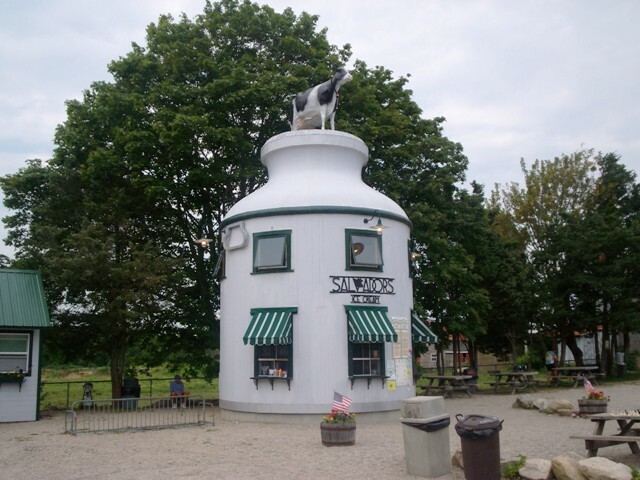 They often have home-made ice creams and you'd be wise to stop for a delicious treat . Here are some of our favorites that you may or may not have encountered on your travels . LICKETY SPLITS is right on Rt.6 in Westport , Mass. 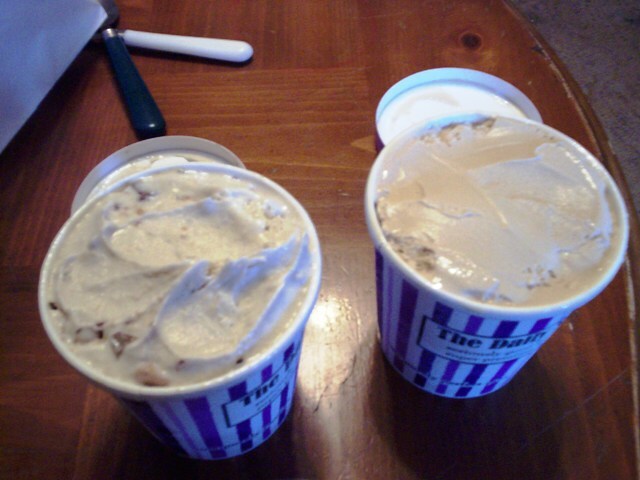 You have to try the peanut butter soft -serve . 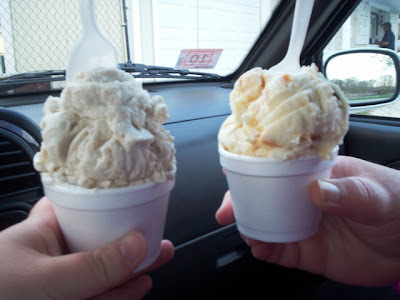 It tastes like cold , creamy Reese's peanut butter in a cone . It's soooo good . 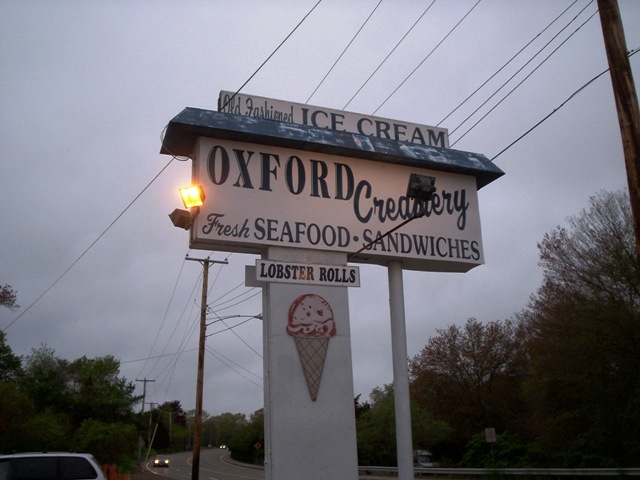 OXFORD CREAMERY is on County Rd. in Mattapoisett , Ma. . It makes the BEST old-fashioned sundaes ----- using the finest ingredients ( Richardson's ice cream and their HOT FUDGE is to die for ) . A nice stop on the way to the Cape . KOOL KONE is located on Marion Rd. in Wareham , Ma. ------another nice stop on the long Cape Cod drive . 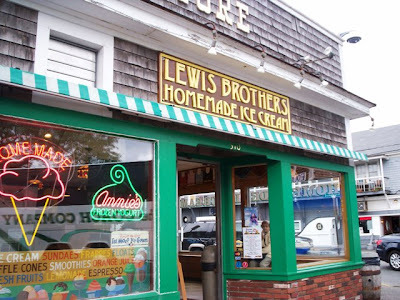 They are famous for their delicious seafood but they have an equally famous ice cream window . 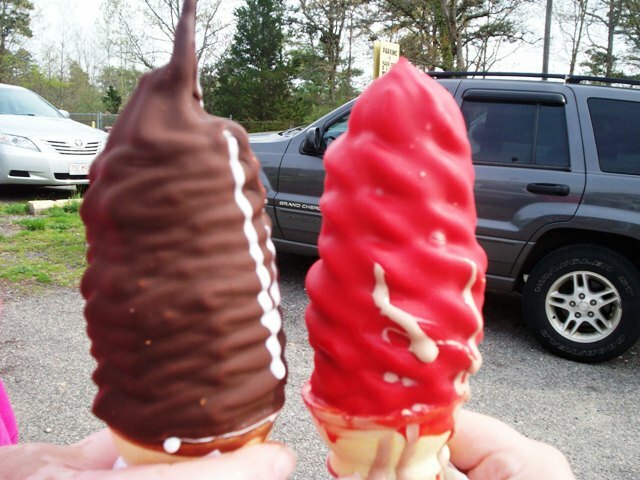 Get your cone dipped in one of their great flavors . You'll feel like a kid again . 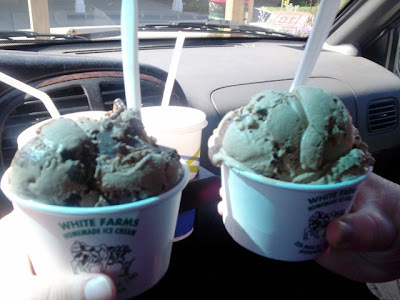 WHITE'S FARM HOMEMADE ICE CREAM is on High St. in Ipswich , Ma. 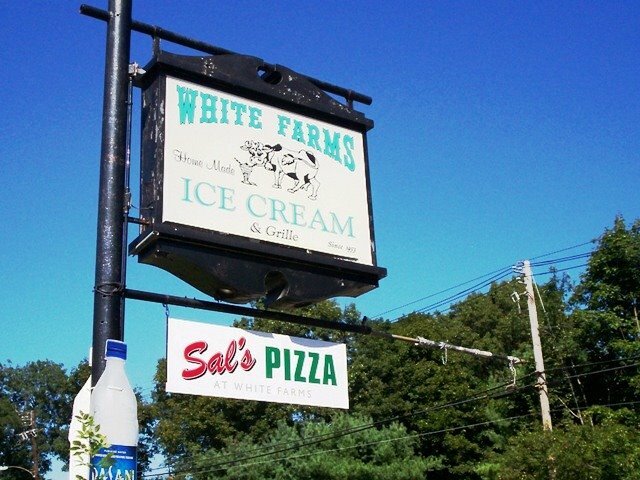 It's right down the road from the famous CLAM BOX plus it's on the side of SAL'S PIZZA ( home of the delicious 3 lb. pizza ) . So this would be pleasure - eating nirvana . This ice cream is most definitely homemade and comes in several unique flavors . The ones we tried were so thick , creamy and flavorful . Ah .....memories . 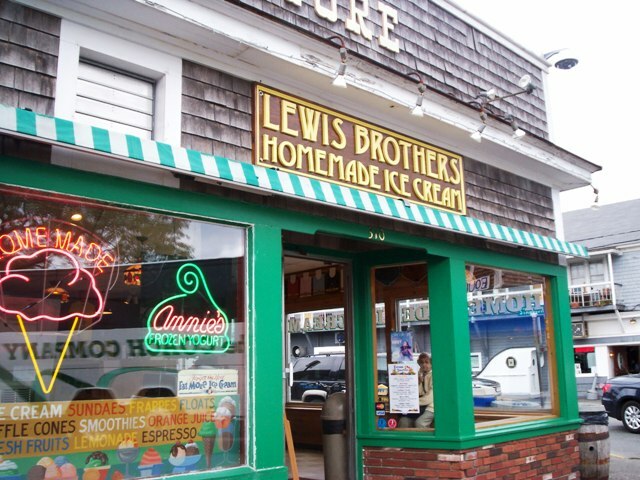 LEWIS BROTHERS HOMEMADE ICE CREAM is on Commercial St. in Provencetown . It's right in the middle of the downtown area ---so you can't miss it . They were making a fresh batch of ice cream while we were there and we got to taste some . I can honestly say I've never had ice cream taste SO close to the flavor it was supposed to be . 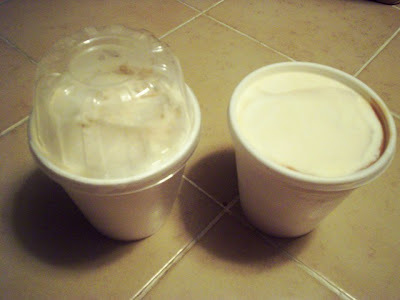 My WHITE RUSSIAN tasted like I should have been eating it leaning on a bar . 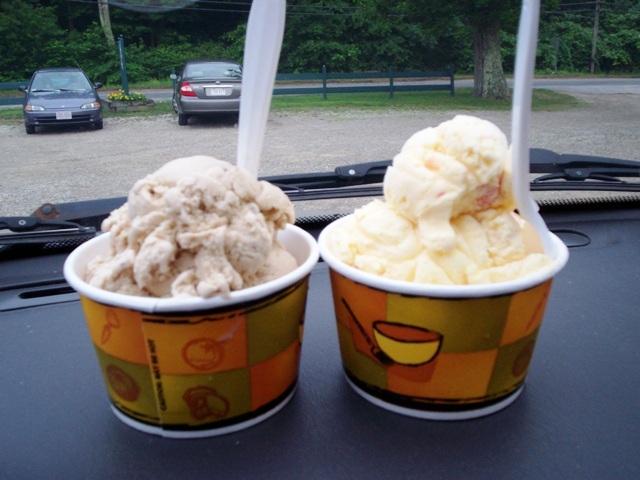 SALVADOR'S ICE CREAM is on Smith Neck Road in South Dartmouth . This was such a surprise to find . We were traveling down a country road and were confronted by a HUGE milk can . LOL How often does that happen ? Well , here in New England --quite a bit . New England LOVES milk cans . The ice cream itself was fantastic . 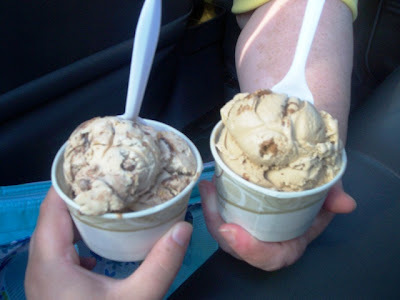 They use GIFFORD"S ice cream here --- a premium brand . Yum . 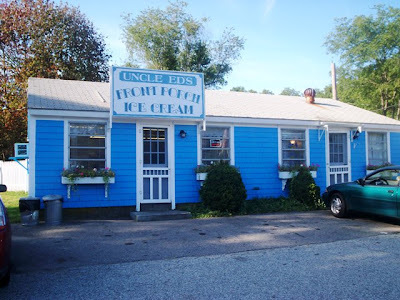 UNCLE ED'S FRONT PORCH ICE CREAM is on Winthrop St. in Rehoboth , Ma. This place looks so cute by the side of the road . And it really is set up inside to look like someone's front porch . 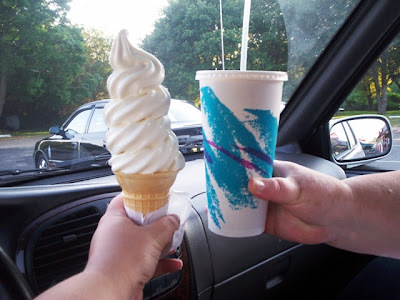 But the ice cream is the star . It's made on the premises and if you're nice , the man who makes the ice cream will take your suggestions for new flavors ( even though he comes up with some pretty spectacular ones on his own ) . So , if you've got an idea for a new flavor stop by . 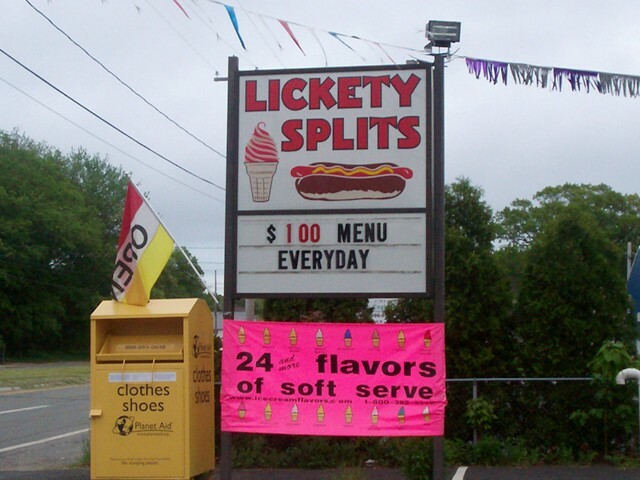 Actually stop by anyway ---excellent ice cream . 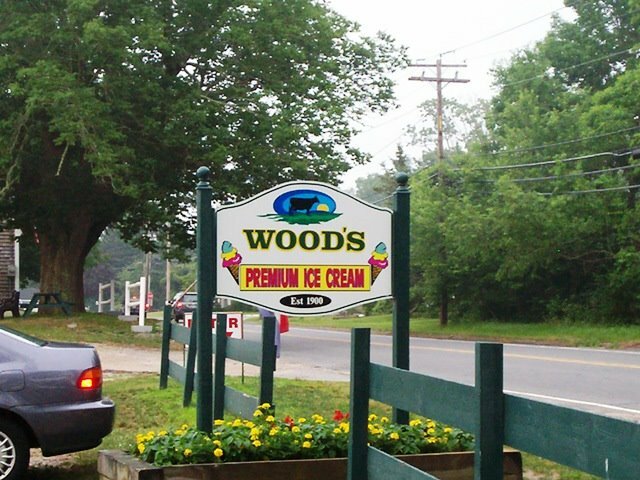 WOOD'S PREMIUM ICE CREAM is on Adamsville Rd. in Westport , Ma. This place gets plenty busy at night with all the locals , but try to squeeze yourself in anyway . 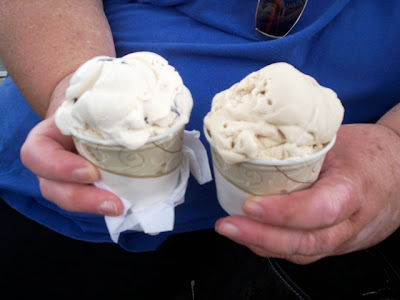 You'll be treated to some great ( GIFFORD'S of MAINE ) deluxe ice cream . They have a chocolate that even I , a non-chocolate fan , will order on occasion . 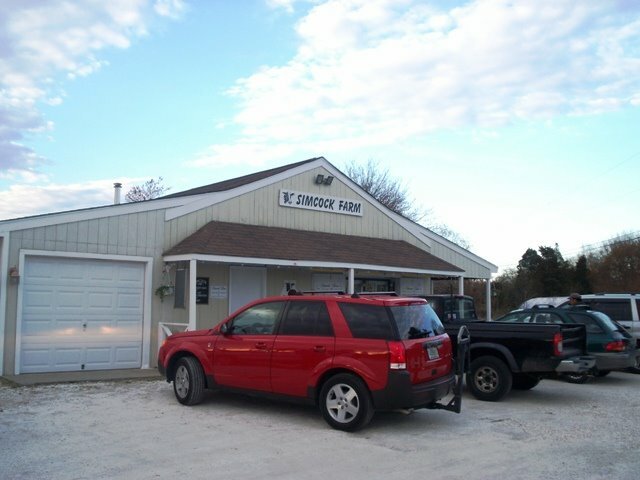 ESKIMO KING is on Market St. in Swansea , Ma. 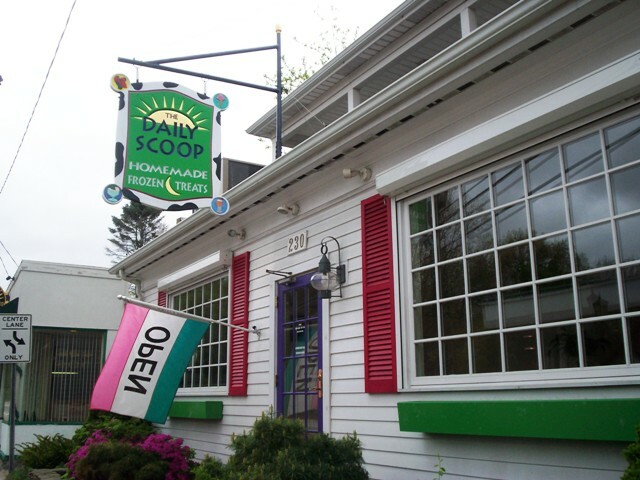 This place is a local legend and it should be . Over 200 ( YES - 200 ) flavors and they take suggestions for mixing up your own . 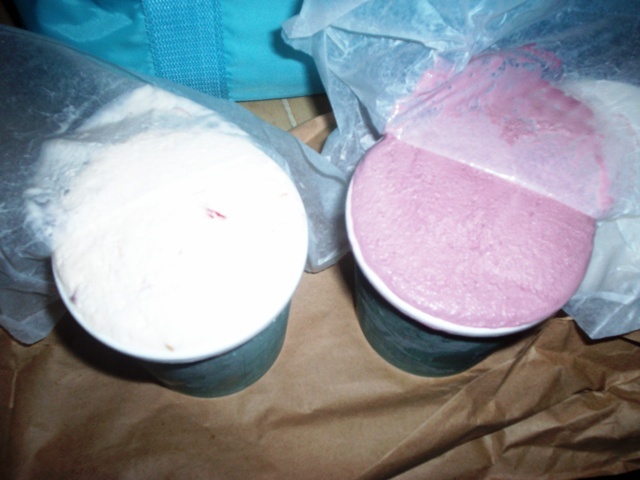 They have a system of using different BASE flavorings and just mixing and matching from there . 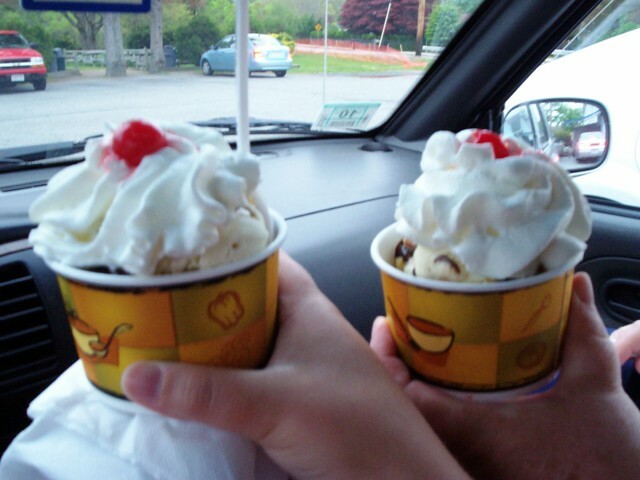 Plus they have special drinks and sundaes ---it's an ice cream paradise . 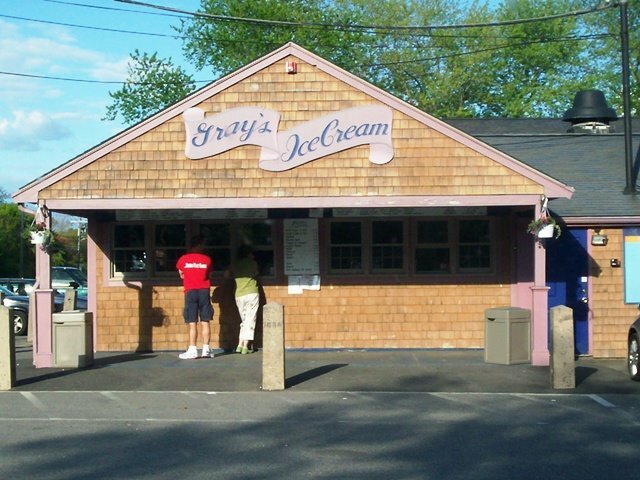 GRAY'S ICE CREAM is on East Rd. in Tiverton , RI. 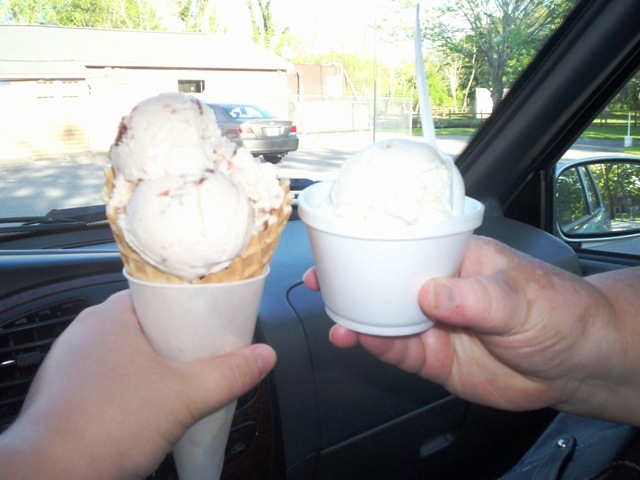 Award winning ice creams , "BEST" coffee frappes , this place is a drive-to destination . 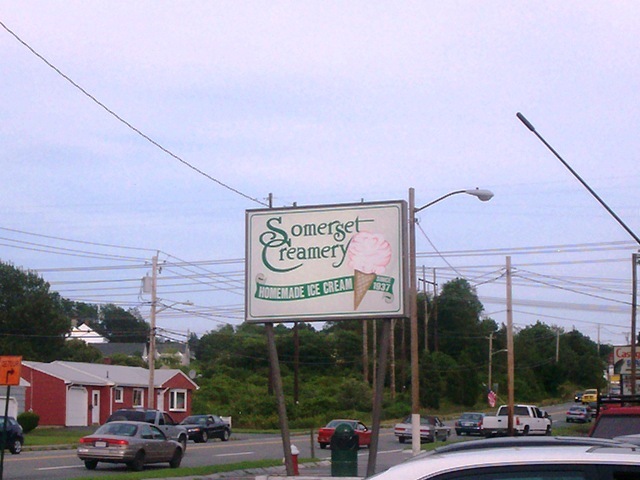 In the beautiful 4-Corners area of Tiverton , this is the place to spend a relaxing summer evening , outside of your car , licking great ice cream . Ummmmmm. SIMCOCK FARM is on Marvel St. in Swansea , Ma. This place is in the boonies . We came upon it just by accident traversing Swansea backroads . Seems everyone knew it was there , except us ( as usual ) . Watch out what size you get . We got the smalls and they were TOO big ------FOR US !!!! LOL We now get the kiddie size . MISTER PEEPERS' ICE CREAM is located on G.A.R. Highway in Swansea , Ma. 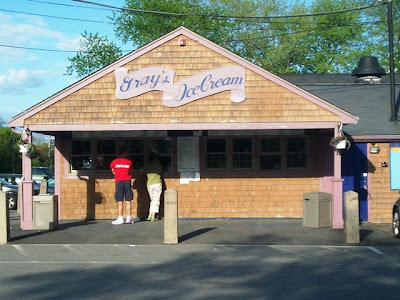 Unlike most ice cream places , this place is open year round . So if you're Christmas shopping and NEED a nice big cone of something sweet & cold , this is the place to be . They have yummy ice cream cakes too. 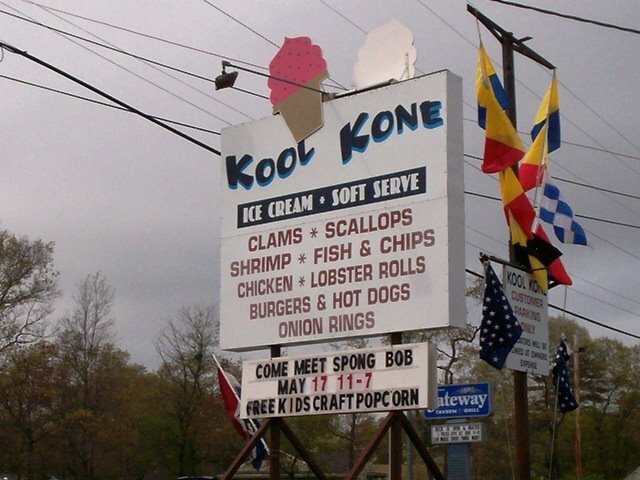 BARLOW'S CLAM SHACK is on Scenic Highway in Bournedale ,Ma. As it's name suggests , it's a clam shack . But they also carry fabulous ice cream . It's right across from the Cape Cod Canal so what a view ! Sitting on a picnic table , ice cream in hand , watching the boats ----doesn't get better than that . 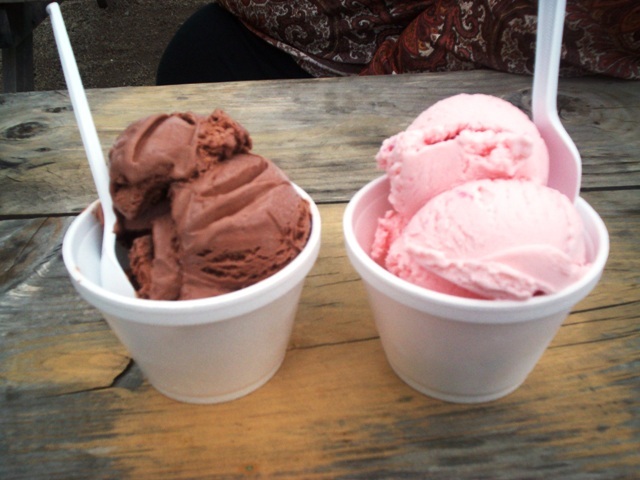 So that's a list of our favorite non-chain big deal ice cream shops . Some are out of the way on little dirt roads and some you'll find right on the major highways . 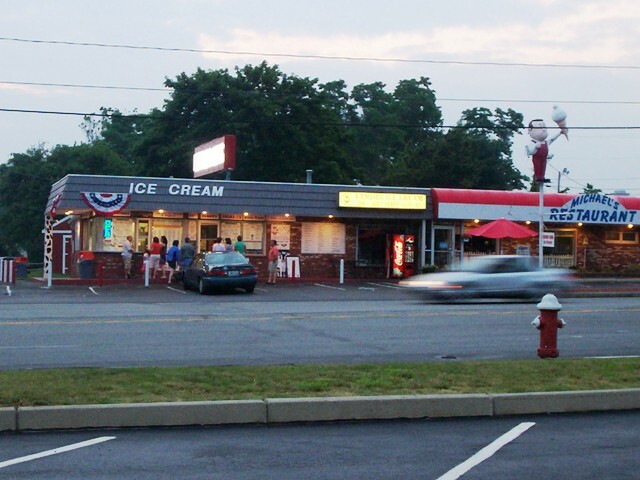 And not that we don't like the chain ice creams ( we love you ---- COLD STONE CREAMERY ( not so much ) , NEWPORT CREAMERY ( LOVE ) , FRIENDLY'S ( blah ) , DAIRY QUEEN (yum ) , BASKIN ROBBIN'S (not) but these little out of the way places are special and make summer fun . So lift a cone and salute the warm months ahead . You'll be glad you did . 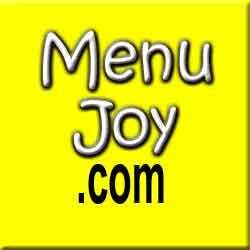 And visit our friends at MENUJOY for some great area menus.